Clouds of Tranquility - Ghumakkar - Inspiring travel experiences. Though the moment before we were tired, wiping the sweat, cursing the horseshit around us and trying to avoid the onslaught… of people, ponies, dandi’s and kandi’s! It was the sight of river Mandakini cascading down, veiled by clouds at places, forceful and flowing eternally to meet Alaknanda. The backdrop of deep green mountains covered with all kinds of trees, a glance around and you spot a waterfall almost coming down from heaven. We were 4 km up on our walkway to Kedarnath. A total of 14 kms, is definitely a steep climb as you start at Gaurikund which is at 6500 feet and the Kedarnath temple is at 11817 feet. (The needy can do the maths !). It was middle of July when we travelled to Devbhoomi against all heat and landslide advises. Never the less it was one of the most memorable trips. The heat in valleys was scorching and it was humid. There were a few fresh landslides on the way, the snow peaks did not give us ‘darshan’ as they were covered in cloud. But the dancing waters of Ganga, Mandakini and Alaknanada along with some picture postcard scenery, a challenging trek to Kedarnath and the emotional surrender that Himalaya commands made our trip worthwhile. It is interesting to note about our Indian psyche, urban or rural, that all of us with a degree of variance long to be in the shadow of Himalaya, to touch the waters of Ganga, Yamuna, Sindhu and many more rivers and to just be there and marvel at a tiny temple on hilltop. You could be atheist but there is no mistaking this attachment to the region of snow peaks, high mountains and valleys carved by powerful river forces. I guess subconsciously we do believe it is ‘Devbhoomi’, as Uttarakhand so proudly calls itself. So talking about Kedarnath, the trek starts at Gaurikund, a deceptively beautiful name for a dirty town. The whole town is a jumble of shops, hotels, dharmashala, ponies, porters, pilgrims and locals. 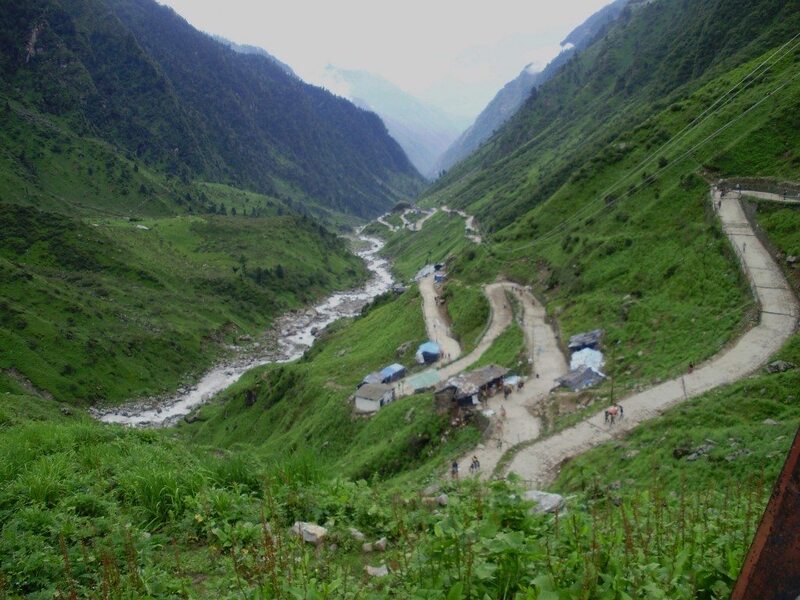 The town is divided by the pathway that takes you up towards Kedarnath. The climb is paved and is also peppered with steps. 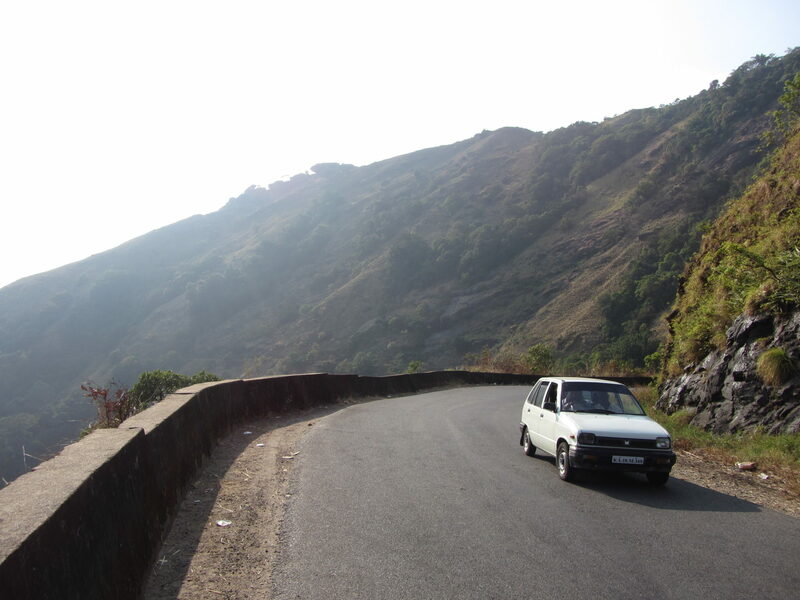 The first 6 kms take you through very dense forests and very high mountains closing in on you. 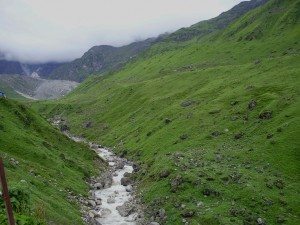 Being the month of Shravan, the rainshowers visited often, the foliage overgrown, the waterfalls landing eagerly into Mandakini and the clouds descending slowly on us as we walked further. The next stretch gives way to some open sky, dense vegetation replaced by green meadows and some lovely flowers and of course the mighty mountains standing tall and vast, only to be shadowed by clouds. The sound of the river keeps a constant company and the sight of milky green waters breaking and moving swiftly, is something etched in the memory. The temple of Kedarnath is simple yet elegant, built in Nagar style with massive gray stone slabs. Though now surrounded by several small structures, what attracts the eye is the massive wall of green mountains standing protectively behind the temple. Kedareshwar, one of the 12 Jyotirlings is not a shivlinga but a conical round shaped stone jutting from earth. It is supposed to be the hump of the bull whose body has sunk in the ground. Bhagawan Shankar has taken a form of a bull to run away from Pandav brothers who were seeking his blessings after the war. The other parts of the body appeared at 4 more places close by, namely Tunganath, Rudranath, Madh-Maheshwar and Kalpanath. These are the famous Panch Kedar in the Himalayas. Now if you are trying to up your ‘Punya’ balance then visit to Kedarnath only is not sufficient. You need to visit Pashupatinath in Nepal to get the full coverage. There was also a charming small temple near the GMVN guesthouse which had water in the sanctum and similar hump shaped stone in the corner. However I could not find any information about it. With the echoes of ‘Bum Bhole’ and ‘Jai Bhole’ we started on the winding road downhill leaving behind the Kedarnath temple and town and not to forget two towers which gave us strongest mobile signal in Uttarakhand! 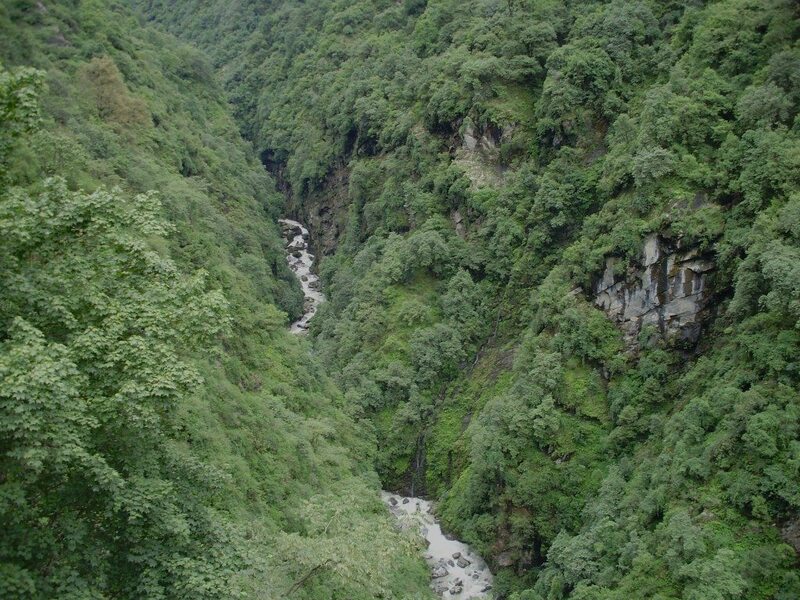 Driving down to Rudraprayag, our next stop was a treat to the eyes as we crossed several small confluences of waterfalls and streams with Mandakini. The landscape had all shades of green, the trees, the rice fields, mountains and the waters. 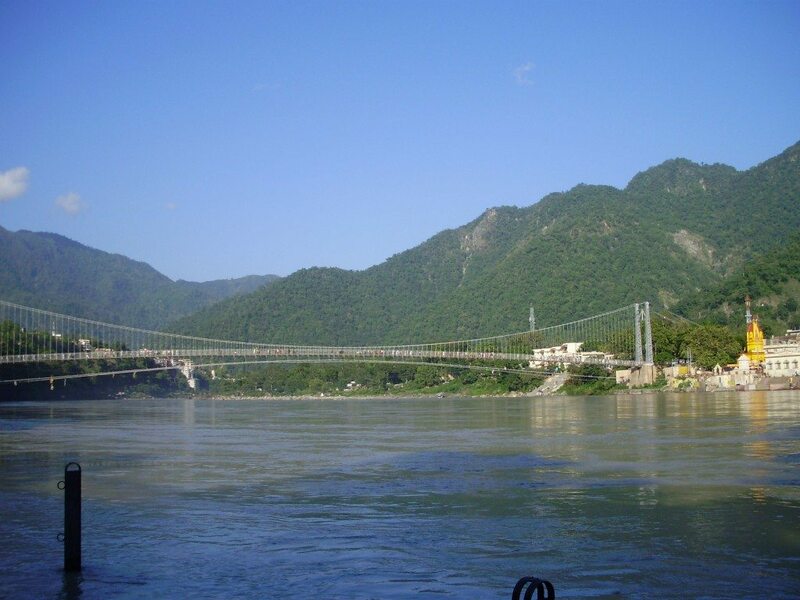 Rudraprayag is confluence of Alaknanda coming from east with the Mandakini. As you walk down the stairs of the temple, you get one of the most splendid views with Alaknanda rushing in waves and taking the sober waters of Mandakini and together they move away from you. The touch of water is so refreshing and the expanse so intimidating, It was difficult to leave the place. Deoprayag, one more confluence now between Bhagirathi and Alaknanda and their flow together is now called Ganga. 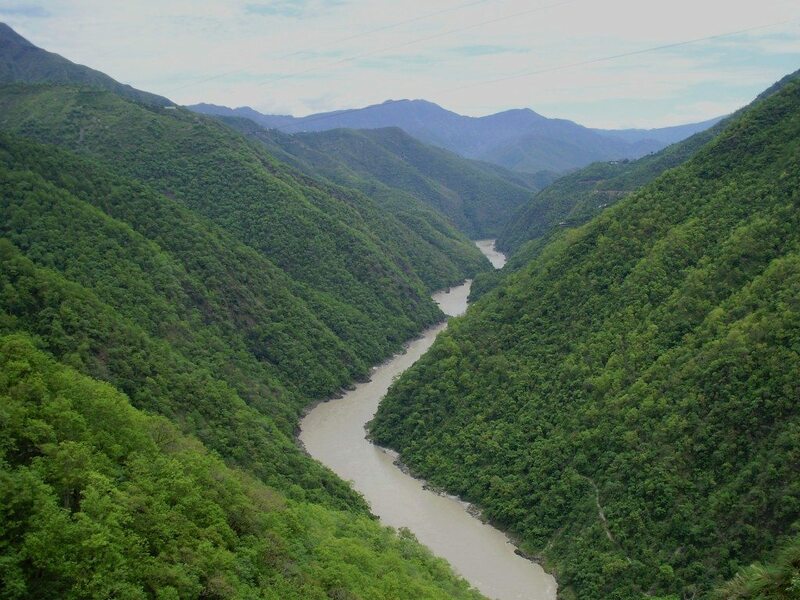 The journey onwards to Rishikesh was through picturesque valleys forested and deep, and sometimes closer to the river where it flowed with great speed, sea green waters finding their way and the road trying to keep with it. Now sitting on one of the numerous Rishikesh Ghats, with the river goddess, enjoying the water lapping at our feet, somehow I realized and acknowledged, why people would spend a lifetime here. Looking back to this journey it was amazing to note that the places like Kedarnath(Shankar) and Badrinath(Vishnu) are retained in our cumulative public memory for at least 2000 years. 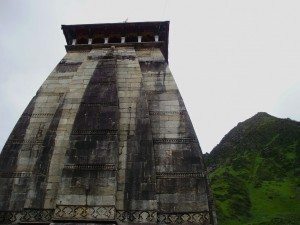 The temple of Kedarnath is supposed to have been built by Adi Shankaracharya (8’the century CE). Prior to that there are references in earlier literature such as Mahabharat (4’th century BC), Linga purana and Padma Purana (3’rd- 6’th century CE) which prove that these places of worship, the ‘Dham’s were considered sacred for a long time before that. It is a fact that almost all our pilgrim sites or temples are located at a place which is endowed with natural beauty. May be the intention is to make us humble, filled with inner joy and connect to the surroundings, the temple and the existence of god just providing the right atmosphere. With today’s over-commercialization of religious centers, I am not sure if the purpose is attained. Also commercialization is a result of over simplification of the yatra routes. Just 100 years back the train would stop at Haridwar and rest of the yatra (Gangotri, Jamanotri, Kedarnath and Badrinath) would have to be done by foot in dense forests and steep hills with villages sparsely placed. Now it is a breeze with even the helicopter taking you to Kedarnath or Kailash or Amarnath. But then again, if the purpose of pilgrimage was to encourage trade, then we have surpassed the expectations. Dear Manisha short & sweet write-up. After visiting such places one can realize why Uttrakhand is known as Dev Bhumi. One more write-up on Devbhumi. Beautiful pictures – especially of the river flowing through the valley. Wonderful pictures, the landscape hasn’t changed much, except for the bridge, and just like the way it was described by Jim Corbett in his book THE MAN EATING LEOPARD OF RUDRAPRAYAG (Oxford 1948). You weave the magic once again. Brilliant. I have been to Okhimath (the place where they keep the deity in winter months since its freezing up there) and courtesy your post, I realized that a visit to ‘Pashupatinath’ in Nepal increments my ‘Punya’ quotient. Of course, I didn’t know when I visited Pashupatinath about 15 years back. The journey was too short though. Looking for more. Thanks a ton for the comments. Sure Manisha , looking forward to PART-II. Lovely photos and text. I recollect seeing in 1980 a very small temple behind the main Kedarnath temple. One walks up about 200 feet by the side of Kedarnath and there it stood. Adi Shankaracharya built it and also stayed there, we were told. 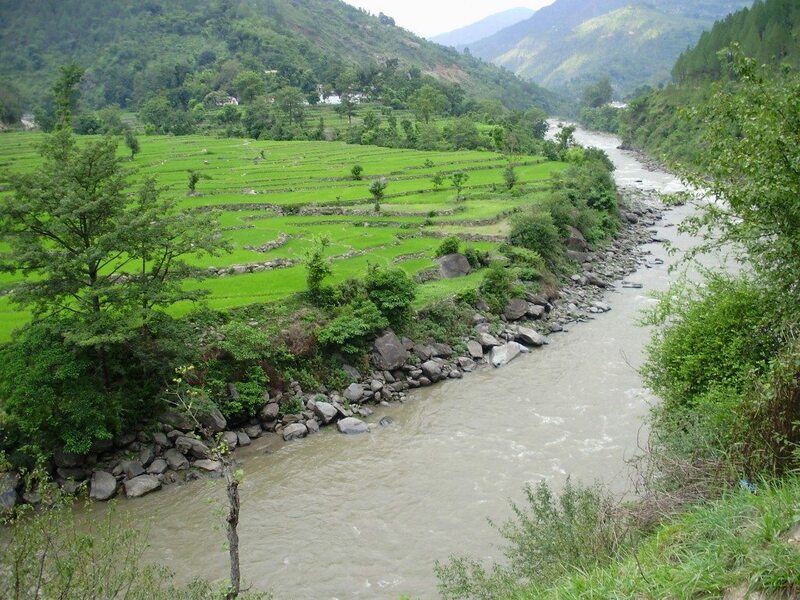 HI FRIENDS THIS IS LAKI NAGARKOTI FROM KANDA ((BAGESHWAR) THIS IS UTTRAKHAND OUR DEVBHUMI. IF THERE IS AN HEAVEN IN THE WORLD THAT IS HERE………… IN OUR UTTRAKHAND. I PROUD THAT THIS IS MY BIRTH PLACE. “UTTRAKHAND KAY SARE DEVI DEVTAO KO MERA SAT SAT NAMAN”. Smallest but best post on Kedarnath so far. The famous temple route of South Western Karnataka is Mangalore- Subhramanya-Dharmastala-Hornadu-Sringeri-Kollur-Udupi-back to Mangalore.Murdeshwar beach temple can be included too if one has more time. Kukke Subramanya temple is one of the most revered pilgrimage destinations in Karnataka. Here Lord Subramanya is worshipped as the lord of all serpents. The devotees enter the courtyard of the temple from the main entrance at the back and walk around to go before the deity.